The Queen's best known wedding gifts came from organizations, countries, and close family members - but she received gifts from plenty of individuals as well. This brooch, described in the wedding gift list as a "diamond and ruby brooch in the form of a butterfly" was given by the Dowager Countess of Onslow. This is not a well known wedding gift - it's not a well known brooch in the first place. 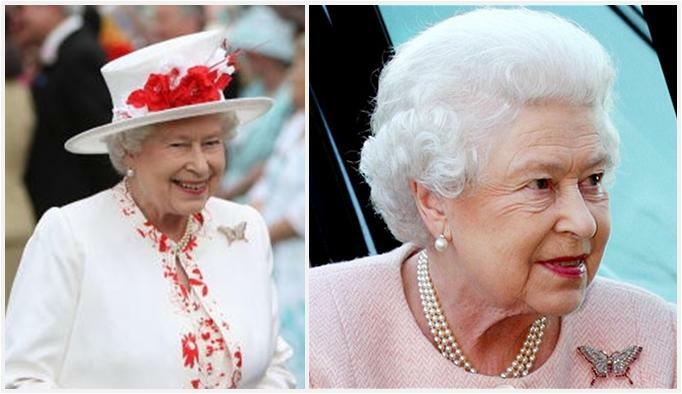 The Queen doesn't wear it much, but when she does she predictably pairs it with pinks and reds.